Publisher: The Crowood Press Ltd.
Popular Poultry Breeds was written as a companion volume to Rare Poultry breeds by the same author. Forty of the most popular poultry breeds (large fowl and bantam varieties) have been covered in detail as well as their variants and variations in name and breed standards which can sometimes be considerably different from country to country. Most of the breeds covered in this book are kept by thousands of people around the world and there is already no shortage of basic information about most of them, however this book goes into far more detail of the history of these breeds than any other book I have come across and is a fantastically well researched reference book. David Scrivener gained a National Diploma in Poultry from Harper Adams Agricultural College in Shropshire, is a ‘Panel A’ poultry judge and is the chairman of the Rare Poultry Society and already has a number of books to his name, including Starting with Bantams (2002), Exhibition Poultry Keeping (2005), Rare Poultry Breeds (2006) and Poultry Breeds and Management – An Introductory Guide (2008). 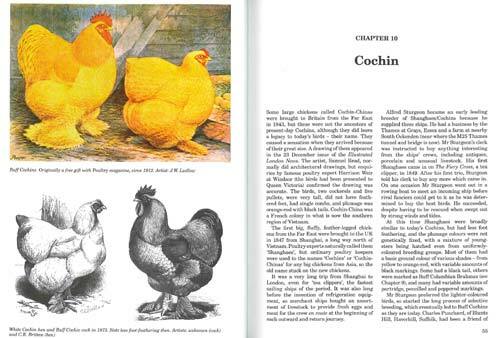 He has written many articles for the national poultry magazines, many from his research of the origins of specific breeds of poultry. In this book, David has meticulously researched the history of these breeds, drawing information from old magazines, pamphlets and publications of the time, some going back 150 years or more to form a complete history of these breeds. Whilst this book is essentially a history and reference book of the breeds, David also covers some of the difficulties in breeding the ideal specimens. I can only imagine that the research for this book has been a lifetime of work. 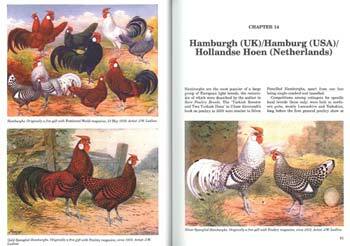 Many old prints of how the breeds were back in the days of their creation have been reproduced alongside more recent photographs and there is very good coverage of the differences between regions and their Standards, between America and the UK for example, even between The Netherlands or Germany and the UK so the reader is able to understand why birds shown on the continent can look different to the birds we see at shows in the UK. For me, this book is probably the best breeds book I have and I have read a large number of them over the last 2 years to learn more about the breeds I don’t keep. I have found this book to be the one that keeps coming off the shelf time and time again! 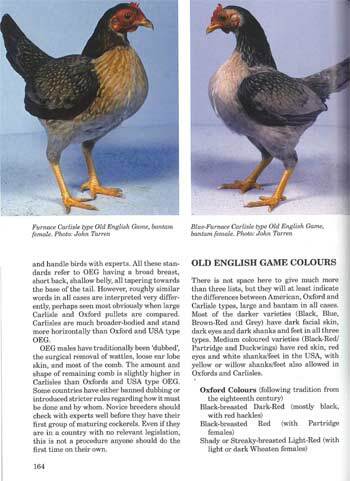 I like this book so much, I have added it to our our Chicken Breeds pages as recommended further reading. It is well worth the money. Since reading this book, I have also bought Rare Poultry Breeds that is equally as good and I have just this week ordered Exhibition Poultry Keeping too by the same author so David Scrivener is becoming rather popular on my book shelf!